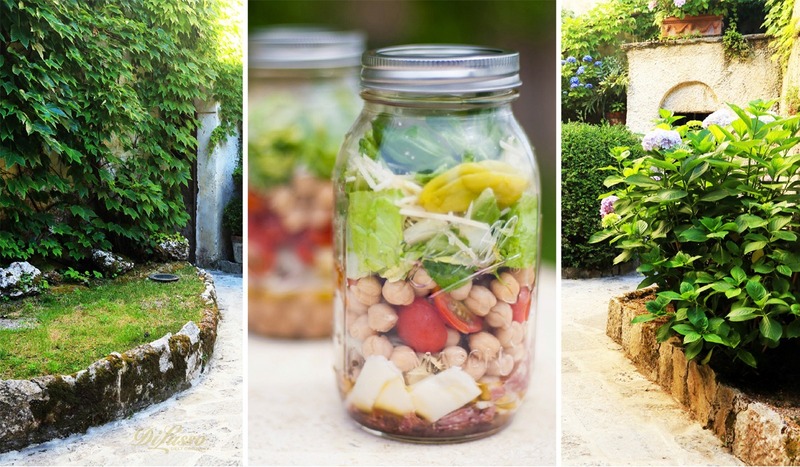 Bring a salad in a jar to work for a fresh and super-simple lunch idea. Layer in this order: salad dressing, meat & cheese, veggies, then greens on the top. Enjoy!